Web site re-designing can be a vital step toward success in your business. If you already have a Web site, but it does not look as professional or visually appealing as you want, or it's not performing or effectively addressing your marketing needs as you would like, we can help you by re-design the entire web site. With foresight toward Search Engine Marketing, we will evaluate each and every aspect of your current Web site to optimize the Web pages, graphics, navigational objects and HTML code to ensure that you stay abreast with your competitors. 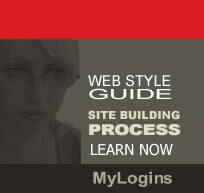 The look of your Web site can make or break you. Attention to detail and good design sense can go a long way. . and contrary to what someone may have told you, you do not need lots of bells and whistles to entertain your visitors.